The Mom's Choice Awards® (MCA) evaluates products and services created for children and families. The program is globally recognized for establishing the benchmark of excellence in family-friendly media, products and services. The organization is based in the United States and has reviewed thousands of entries from more than 18 countries. Visit Mom's Choice Awards website fro more details. Encounter Christ on every continent and in every century of Christian History. 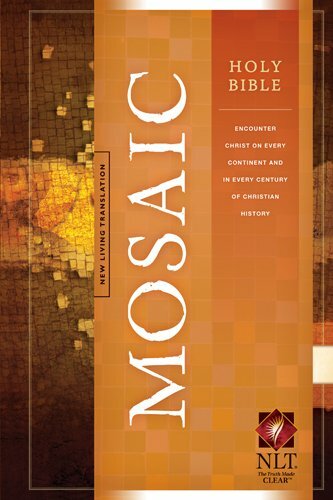 A new genre of Bible―a weekly meditation Bible―Holy Bible: Mosaic is an invitation to experience Christ both in His word and in the responses of his people. Each week, as you reflect on guided Scripture readings aligned with the church seasons, you will receive a wealth of insight from historical and contemporary writings. Full-color artwork will engage the soul; quotes, hymns, prayers, and poems enhance the rich devotional experience. Also includes a Dictionary/Concordance, NLT word study system with Hebrew/ Greek dictionary. A beautiful layout of art and devotional content, and an online community and content (coming Fall 2009) will extend the experience. 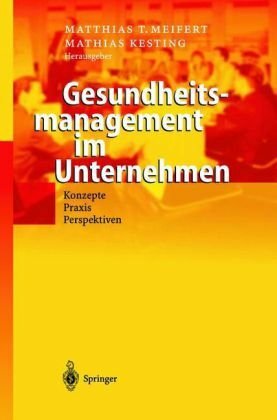 Das Buch gibt eine umfassende und praxisnahe Einfuhrung in das betriebliche Gesundheitsmanagement, das seit einigen Jahren in einem starken Wandel begriffen ist. Ansatze und Konzepte aus wissenschaftlicher und unternehmenspraktischer Perspektive sollen Unternehmen helfen, den Erfolgsfaktor Mensch im Unternehmen umfassender als bisher zu betrachten und ihn bedarfsgerecht zu unterstutzen. 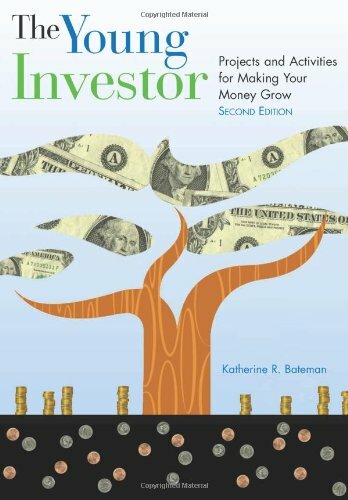 Das Buch versucht, ein neues Denken zu fordern, das die Chancen einer verbesserten Lebensbalance beim Einzelnen und daraus resultierend auch fur das Unternehmen als Ganzes aufzeigt. Fallbeispiele aus der Praxis liefern Anregungen fur die erfolgreiche Umsetzung von Gesundheitsmanagement-, Wellness-, Life-Balance- oder Worklife-Balance-Programmen in Organisationen.Das Buch richtet sich sowohl an Verantwortliche in den Personalabteilungen von Unternehmen als auch an die Unternehmensleitungen selbst. 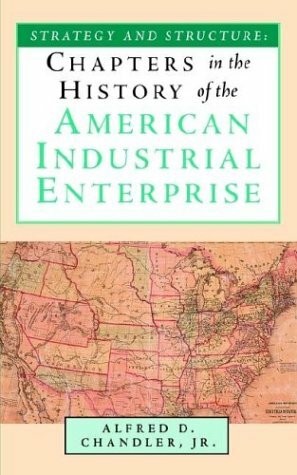 In Unearthed: The Economic Roots of Our Environmental Crisis, Kenneth M. Sayre argues that the only way to resolve our current environmental crisis is to reduce our energy consumption to a level where the entropy (degraded energy and organization) produced by that consumption no longer exceeds the biosphere's ability to dispose of it. Tangible illustrations of this entropy buildup include global warming, ozone depletion, loss of species diversity, and unmanageable amounts of nonbiodegradable waste. Degradation of the biosphere is tied directly to human energy use, which has been increasing exponentially since the Industrial Revolution. Energy use, in turn, is directly correlated with economic production. Sayre shows how these three factors are invariably bound together. 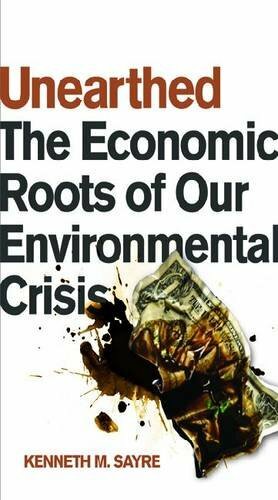 The unavoidable conclusion is that the only way to resolve our environmental crisis is to reverse the present pattern of growth in the world economy. Economic growth is motivated by social values. Key among them are the desire for wealth and consumer values including gratification, convenience, and acquisition of goods. Sayre maintains that economic growth can be reversed only by eliminating these social values in favor of others more conducive to environmental health. Eliminating these values will involve major changes in lifestyle within industrial societies generally. Only with such changes in lifestyle, he argues, does human society as we know it have a chance of survival. Clearly written and thoroughly documented, this book provides a comprehensive overview of our complex environmental predicament.